The summer of 2014 was set to be a great one. I had slimmed down from the year before, had recently moved into a better home closer to the beach, the World Cup had started and I was all set to enjoy the next few months. Although life always presents its challenges, nothing had come up that was so important that it would change my priorities significantly. Then something happened that changed everything. 3 Yeshiva boys were kidnapped. I still remember that ray of hope we had that Naftali, Gilad, and Eyal would somehow make it back safely. The motto “Bring Back our Boys” was everywhere as we all prayed that somehow God would see them back to their homes unharmed. I have seen many bad actions taken against Jews and decent people everywhere, but somehow I found myself more involved now than I had been for at least 13 years since 9/11. I related to these boys. I remember being a Yeshiva student myself in my late teens, in Israel, and knew that even if I wasn’t like these boys, I knew guys who were. So it hit home and I found myself caring more than usual. 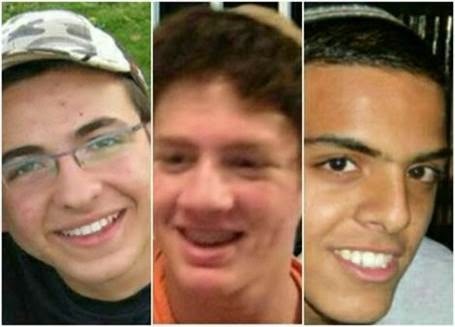 It wasn’t till they were found dead, murdered brutally at what we all knew immediately was the hands of Hamas terrorists, that something truly snapped in me. That was when I, David, had finally had enough. When tragedy strikes one never knows exactly how they will react. Although I related so significantly to these three boys, I did not know them personally. Had I known them personally, maybe I would have been so distraught that I would have had trouble functioning. So when I say I had finally had enough and I snapped, I felt an anger I had rarely felt in my life and I turned to my weapon of choice, the written word. And my position as a moderate was now a thing of the past as well, as I realized that moderation is something that needs to be saved for the reasonable and fair, not the racially bigoted and brutally violent. When Israel first went after Hamas with airstrikes in Gaza, no one really knew how serious the situation would turn out to be. The terror tunnels they discovered were designed to carry out mass murders of Jews, and the intelligence they gathered indicated that it was going to be as soon as this Rosh Hashana, the Jewish New Year which falls towards the end of September. Israel’s incursion by ground troops into Gaza was used to uncover and destroy these tunnels. However, while this was happening the situation took an ominous term. I almost typed unexpected as well, but as a Jew paying attention, anti-Semitism is never completely unexpected. I’ve been accused of being slightly over-sensitive to comments, but no one has ever accused me of having a persecution complex. At least not to my face. So when I say I was not totally shocked by the global spike in anti-Jewish words and behavior, this is not coming from someone who makes declarations that “everyone hates the Jews”. I know better. What we’ve seen this summer however has been epic. Even by the usual standards of hatred. Gone is the requirement of logic and fact. Merely wanting to hate the Jews became enough. Telling half of the story so that the part that exonerated Israel was conveniently missing became the strategy of the vocal and clever anti-Zionist/anti-Semite. And gone forever is the notion that anti-Zionism and anti-Semitism are not two in the same. 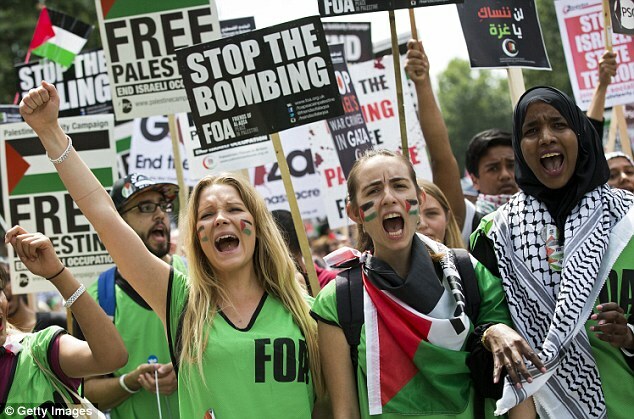 When you have two signs at a protest that say “Free Gaza” and ” Hitler was right”, you have lost the argument that they are different. When pogrom style attacks took place on French synagogues by people claiming to do things in support of Palestinians it was made abundantly clear that this was about hating the Jew at least as much as it was about opposing Israel. The more Jews were attacked, whether in Israel or outside of Israel, the more committed I became, expressing my commitment through articles and letters to those expressing damaging sentiments towards the Jewish people, while also writing articles acknowledging our supporters. 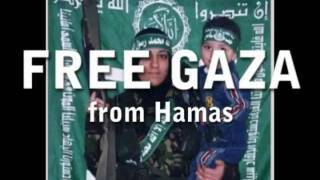 Every time I heard “Free Gaza” I felt more and more compelled to shout to the world that the people of Gaza needed to be freed from Hamas not from Israel. Every time the United Nations revealed its bizarrely obvious bias against Israel I wanted to write something to expose it. Why? Partially because it was cathartic, but even more because I wanted to make sure everyone I could reach would know the truth, and once I began to do that, there was no turning back. With every missile fired at Israel, with every fatality including the 64 members of the IDF fighting to preserve Israel’s survivor, my commitment grew stronger. Recognizing the need for unity with more than just the Jewish community, I created the Global Coalition for Israel on Facebook as a means of showing a cohesive support for the State of Israel. One month later the group is at 1300 and growing daily. When the summer began I was worried about when I was going to get to the beach, lay in the sun and get to barbecues. I’m not saying that I didn’t do those things to some extent during the summer of 2014, but they all took a back seat to something more important. My new activism. Watching CNN and FOX on a daily basis to get the news coming from the region, researching websites and news sources online, and meeting people with stories to tell from Israel and Europe, the summer of 2014 became something I never expected it would become, it became my Summer of Gaza. Let me start by making something very clear. I am by no means making light of the horrific and graphic murder of journalist James Foley. I am however asking two very important questions. My first question is why did it take till now for everyone to take the threat of ISIS as seriously it should have? And my second question is, as the United States debates bombing a second country after the beheading of one journalist, why has it been so hard for the world to accept Israel’s reaction to the murder of three teenage boys? The questions seem very different but the answer may be the same. Regarding the subject of terrorism, Muslim extremism and the threat it poses to the entire civilized world, the Israeli government and its supporters, in Israel and throughout the world, are ahead of the curve. As much as I dislike them on a personal level, the celebrities who proudly display their anti-Semitic sentiments through opposition of Israel’s actions don’t understand how much they are hurting themselves in the process. I dare say that to some this is a new Muslim Chic. Captivated by the culture, the music, the hum of the call to prayer, the smooth talking Palestinian leaders have them taken in by what they see as the Palestinian’s plight. I am not going to berate Liam Neeson for expressing his attraction to Islam because he did so in a positive context, but I may also want to say to him, come take a look at Judaism. We don’t have large factions within our ranks looking to take over the planet through brutal violence. Criticizing the realities that exist within Islam is not racist, its realistic and practical. Celebrities and politicians who have bent over backward to ignore those realities until now are partially to blame for James Foley’s death and for those who will be murdered by these factions in the future. When the two young stars, Rihanna and Selena Gomez tweeted messages along the lines of “Free Gaza” or “Free Palestine”, did they ever stop to consider how young women like them are treated by the Hamas government and the society they are defending? In contrast are they aware of the equality and opportunities provided to young women in Israel, even going as far as being important contributors in the military? I am sure they didn’t. They posted it on Twitter because it seemed like a fun, neo-humanitarian thing to do at the time. Not so much fun anymore when there’s a video of an American journalist being beheaded on YouTube is it? If the rest of the western world had put the same value on the lives of Naftali Frenkel, Eyal Yifrach, and Gilad Shaar as Israel did, and supported the operation in Gaza as it should have and understood its importance, it would have sent a message to groups like ISIS and Hamas, and even the oft ignored ringleader Iran, that it understood what is at stake. But not only did they not do it then, some continue to not do it today. 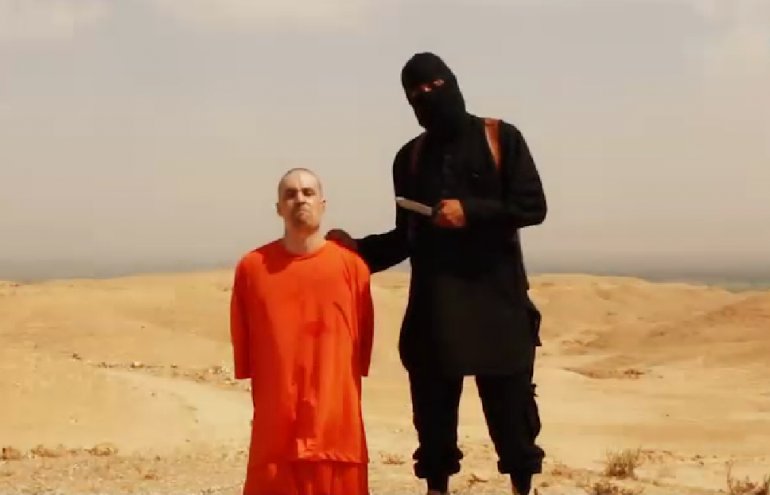 But to those who needed to see it in front of them to make it real, the beheading of James Foley was a wake up call. Not so Chic anymore is it? As the world figuratively and in some places literally burns, where are all the humanitarians now? I have never had a problem with those who have been upset with the deaths of civilians in Gaza, but it’s the rest of their behavior which reflects how disingenuous they often are. A few weeks back I made mention of Pope Francis and how much I appreciated the way in which he discussed the events taking place in the world. He pleaded to everyone fighting to stop fighting, practically crying to God in prayer. He has emphasized his concern over the last few days over the situation in Iraq, once again showing his understanding for what is happening in the world. Too many people however have taken a very different approach. Gaza has been a popular cause. One might even call the support for Gaza the latest fad, kind of like when Darfur was hot. Once it was “Save Darfur”, now it’s “Free Gaza”. People, some famous, many not famous, use these causes to show others and sometimes themselves, how good they are. What caring people they are. In reality they’re just followers lining up behind what they are hearing as important in the media without even knowing what is really happening on the ground. Ask these same “Free Gaza” people, and I guarantee you they were many of the same “Save Darfur” people, what the situation in Darfur is today. Ask them to name 2 cities in Gaza. I’m very confident the answer to both would be the same, “I don’t know.” Then ask them why they don’t open their mouth or protest the actions of ISIS and see what kind of response you get. I doubt it will be a very logical or intelligent one. After all, Iraq isn’t a hot fad, at least not yet. Its gets even worse with the high-profile people or agency workers or leaders. Most likely the UN is busier investigating Israel for war crimes than it is addressing the humanitarian crisis and genocide taking place in Iraq. Where are those who had so much to say about Gaza now? Some of them are even Christians remaining silent to the horrors taking place against Christians. For the athletes or entertainers that spoke out about Gaza, they are not much different from the sheep I referred to earlier. For the agency heads and politicians that remain silent now, the behavior is nothing short of abhorrent and destroys any credibility they may have had. Their neglect for their responsibilities not only doesn’t help the problem, it contributes to it by strengthening the resolve of the truly evil. Whether or not it’s about money, politics or neglect, it’s clear that their humanitarianism in the end is a lot more talk than action. At some point Israel will be left with no other choice but to inflict damage that will show everyone the true restraint they’ve shown until now. When that moment comes, those in the world with power and influence using it to obstruct and criticize Israel while empowering Hamas, will have to answer for the war they prolonged with their corrupt and self-serving politics. The spilled blood that will follow will be on their hands more so than anyone else’s. If these people have clearly thought this through they know that making it difficult for Israel to cripple Hamas will lead to a prolonged conflict that will consist not only of more fighting but much more intense fighting. If they truly cared about civilians more than their personal gain they would support Israel in removing the cancer destroying Gaza. But since it is clear that money from Qatar is not being spent on freeing Gaza, don’t expect that to happen any time soon.